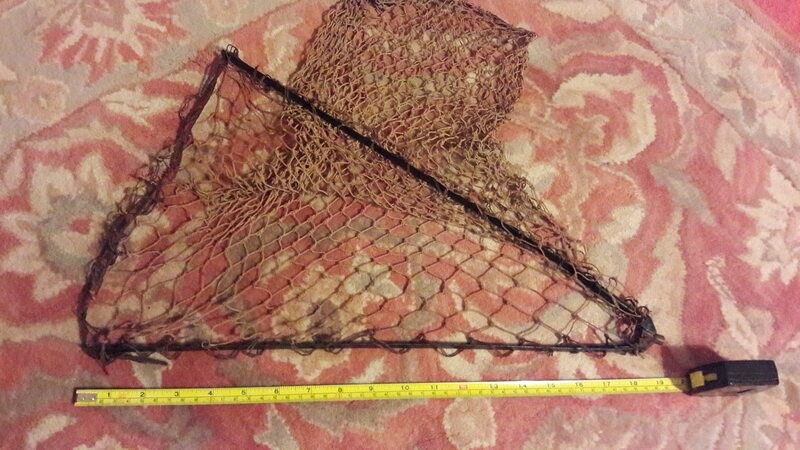 Re: Early folding Landing Net? Yes, that's the pear shaped one Steve. 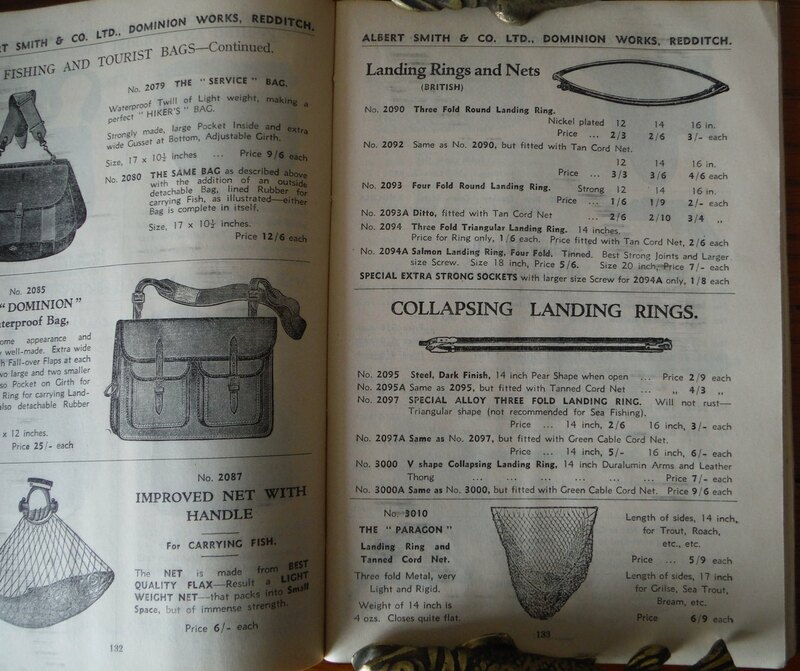 Here it is in the Ogden Smiths catalogue from 1939. No 3000 sounds about right, 14 inch arms and leather thong. 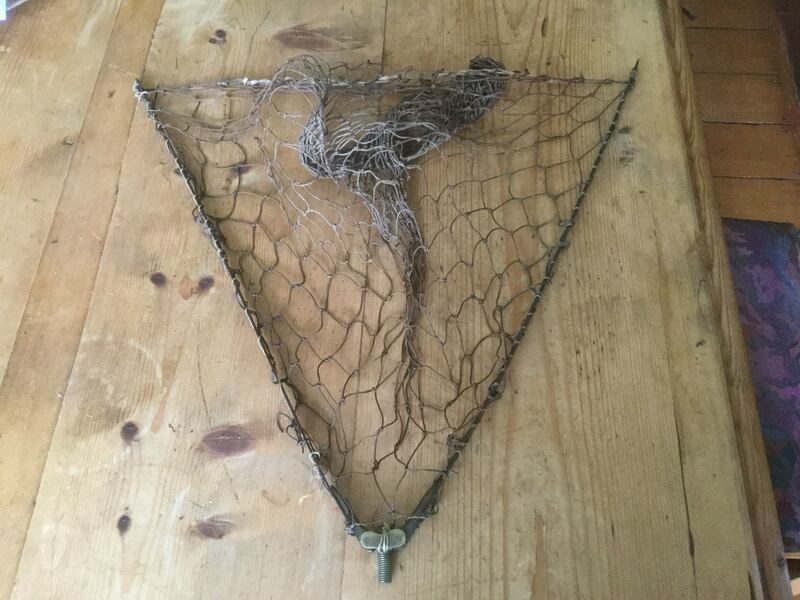 I have seen this type of net ring in a catalogue somewhere but I can't find it at the moment, there is also a pear shaped net ring which opens and folds on the same principal. I am almost certain it is called the Paragon. Great feed back LuckyLuca many thanks. That looks just like it. I'll check the dimensions when I get home from work. Many thanks Wal. I have a similar one. 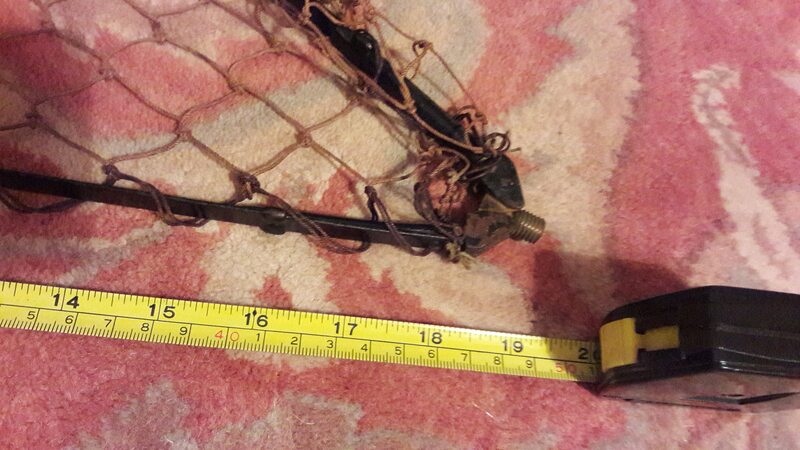 This one has all brass canfilever construction, arm, pivot pice and thread. Onto this are riveted two high tensile steel 18” arms. Once on the pole the cantilever action bows out the net against the tension of the drawcord as per Richard Walker style nets. It could be home made to copy the style of yours, or maybe even factory made. 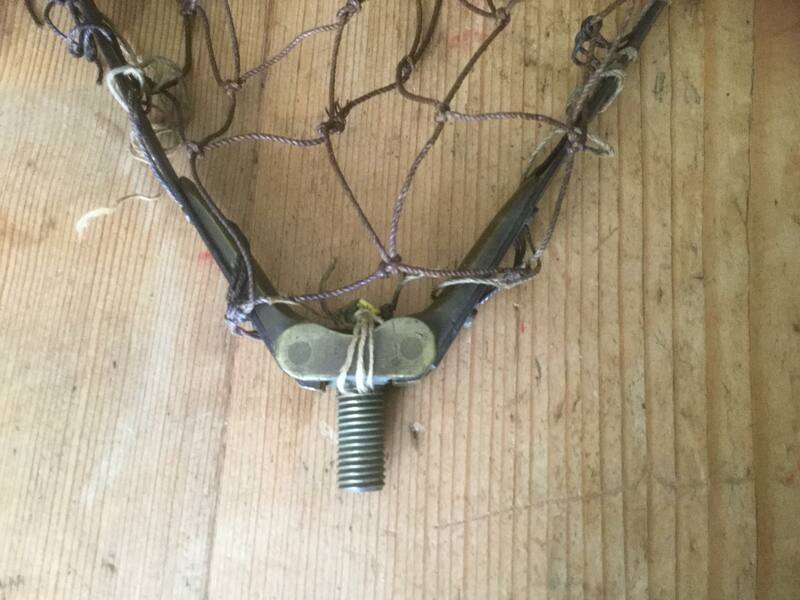 It looks like the pivot piece is based on a link from a large bicycle chain but being brass it would be too soft for this, more likely a case the eye is seeing what it wants to see. The the brass arm assemblies are rather well made for a home made jobby though unless the maker was quite skilled. Measured it up Wal. 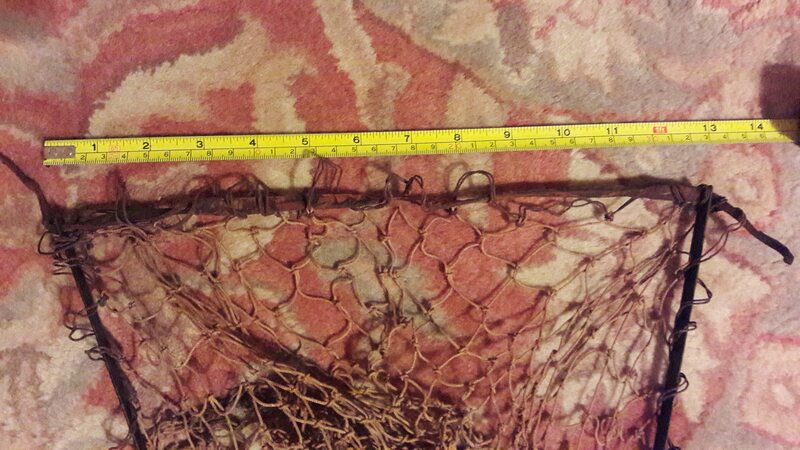 It is 19" along the arms, but nearer to 14" across the leather thong at the front of the net.